The Wiegands: it's a party. Wouldn't it be a fun treat if gifts were involved? So after some collaboration with some fellow bloggers, we wanted to start the year off right and do something that will help us all to connect and get to know each other better. Each blogger who wants to participate will be randomly paired up with another blogger to do a gift exchange with! All packages must be shipped out so they can arrive to the other bloggers destination BEFORE January 31. Then on January 31, 2012 we will all post about the other blogger we received a package from, and about the care package they sent us! So where does the party part come in? Well you can all then link up the post you wrote onto all three of the hosts’ blogs, for one giant link up party! The care package can be full of whatever you want to give! But we suggest keeping it simple, and would like to put a $10-$15 price cap on these packages. Just make it something small and fun, that you know would make another person’s day. Who doesn’t love getting something in the mail? Try to get to know the other blogger, and send them something that will put a smile on their face. Maybe something to help them accomplish one of their New Year’s resolutions, or something only another blogger would appreciate? Be creative! If you are having trouble thinking of something, you can always e-mail one of us for some suggestions. Any blogger who wants to participate will e-mail Alycia their name and blog address. Each blogger will be randomly paired up with another blogger, and will receive that blogger's e-mail and web address. Make sure to ship out your care packages by an appropriate date, so that the other person will get their package BEFORE January 31, 2012. Then make sure to write up a post about the person you met, and what they sent you! 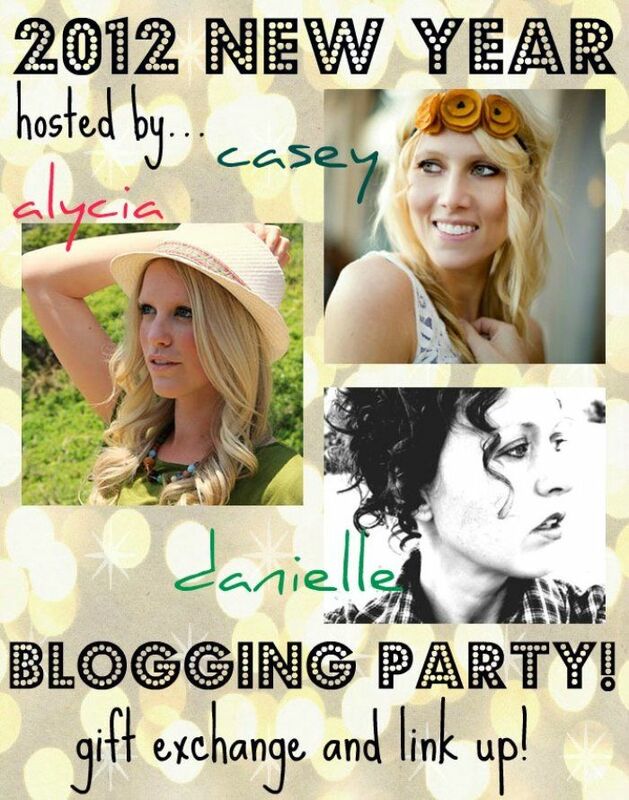 &Don’t forget to link it up to ALL THREE of the blog Hosts, to spread the love and meet tons of new bloggers! Hope we can all meet some new people in the blog world, spread smiles with some gift giving, and have a great New Year of blogging in 2012!